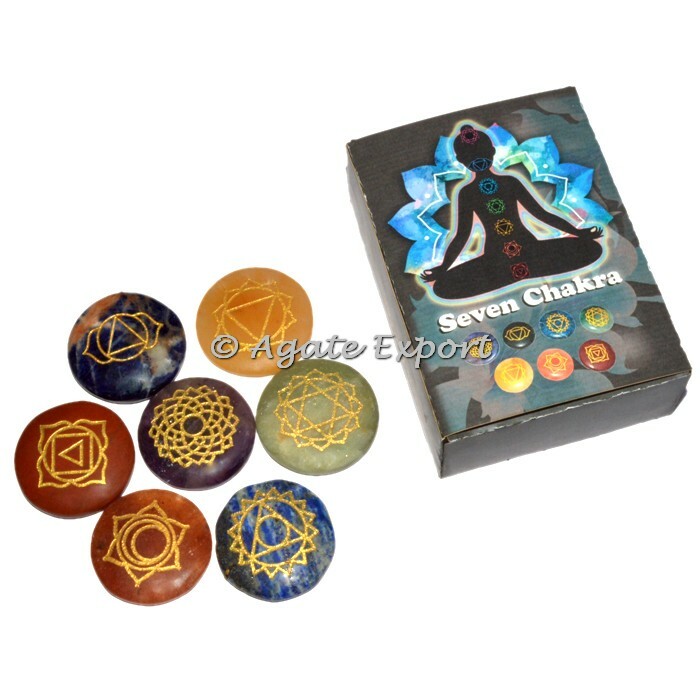 This gift box contains Seven Chakra Engraved Set with chakra symbols on it and With Your Customs Packing. 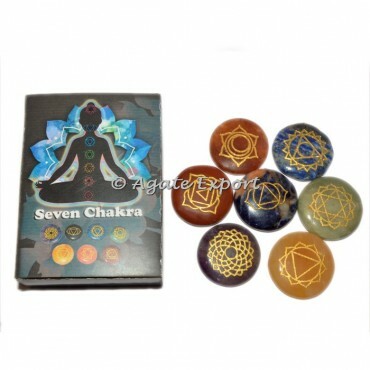 These seven stones indicate an alignment with the seven chakras of the body. 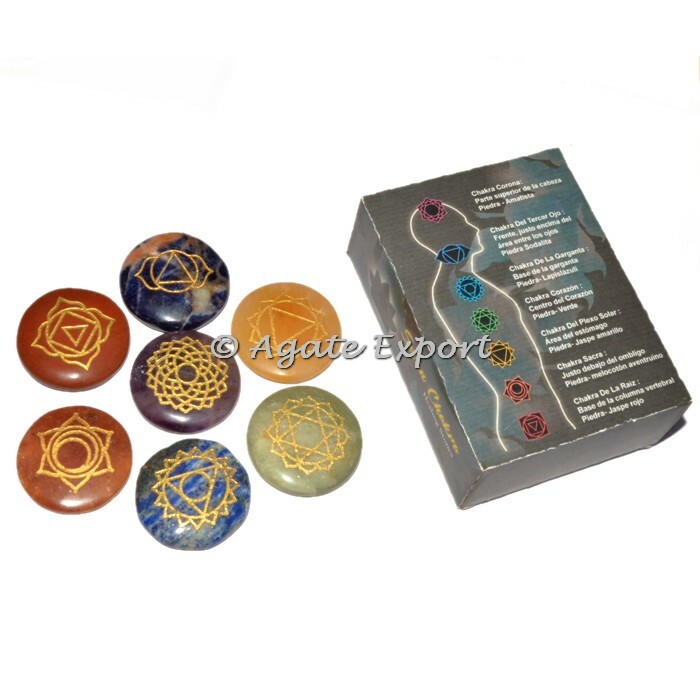  The variety of the stones ranges from Amethyst, Aventurine, Black Tourmaline, Citrine Quartz, Jasper Brecciated, Moss Agate, Red Jasper, Rose Quartz, Sodalite, Tiger Eye, and are naturally colored. Buy this chakra set as per your customization for logo and design.